Iran’s state TV has reported that a 4-year-old boy who was wounded during Saturday’s terror attack on a military parade in the city of Ahvaz has died at a hospital. Sunday’s report showed the deceased Mohammad Taha lying on his bed in an Ahvaz hospital. Beside him, a doctor next says: “He was wearing a black shirt when he was killed because he was at a mourning ceremony,” referring to Ashoura, an annual commemoration mourning the 7th century death of Prophet Muhammad’s grandson Hussein, one of Shiite Islam’s most beloved saints. A photo of wounded, motionless Mohammad Taha resting in a soldier’s arms circulated on Saturday after the shooting. He died on Saturday. Arab separatists claimed the attack, which killed at least 25 people and wounded about 60 others. Iran said a U.S.-allied regional country supports the group. 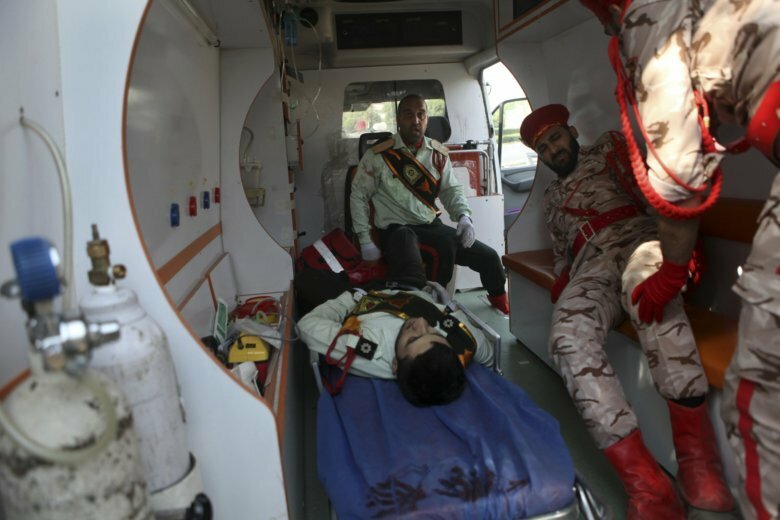 The Guard issued the statement Sunday, a day after an attack claimed by Arab separatists in Ahvaz killed at least 25 people and wounded over 60. It was the deadliest such attack in Iran in nearly a decade. A news agency close to the Guard said at least eight of its members were killed in the attack. Iran’s leaders have blamed the attack on the United States, saying an unnamed U.S. ally in the Persian Gulf aided the militants. The Guard in September launched a missile attack targeting Kurdish separatists meeting in Iran, killing at least 11 people and wounding 50. Iran’s President Hassan Rouhani claims an unnamed U.S.-allied country supports the group that attacked a military parade on Saturday. Saudi Arabia, Bahrain and the UAE view Iran as a regional menace and have long accused it of meddling in other countries’ affairs. Iran backs militant groups across the region. Iran has summoned diplomats from Britain, Denmark and the Netherlands over allegedly harboring “members of the terrorist group” that launched an attack on a military parade in the country’s southwest. A statement early Sunday from Iran’s Foreign Ministry also quoted ministry spokesman Bahram Qasemi as saying Danish and Dutch diplomats were told Iran “already warned” their governments about this. Saturday’s attack in Ahvaz killed at least 25 people and wounded over 60.